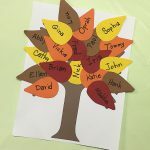 Want an easy Rainy Day Rainbow Craft for the kids that they will love to have hanging around the house or the classroom. 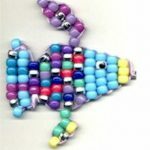 It teaches the colors of the rainbow in a memorable way. 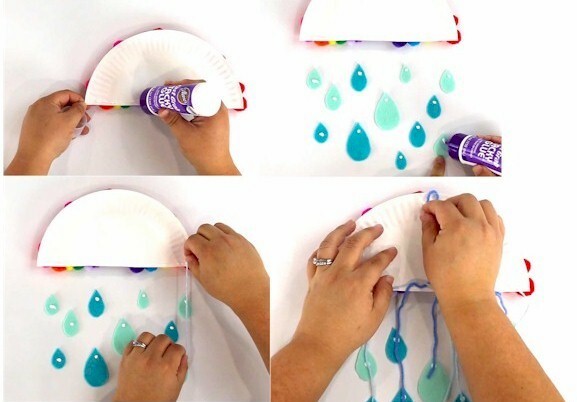 Fold the paper plate in half and cut along the fold line. 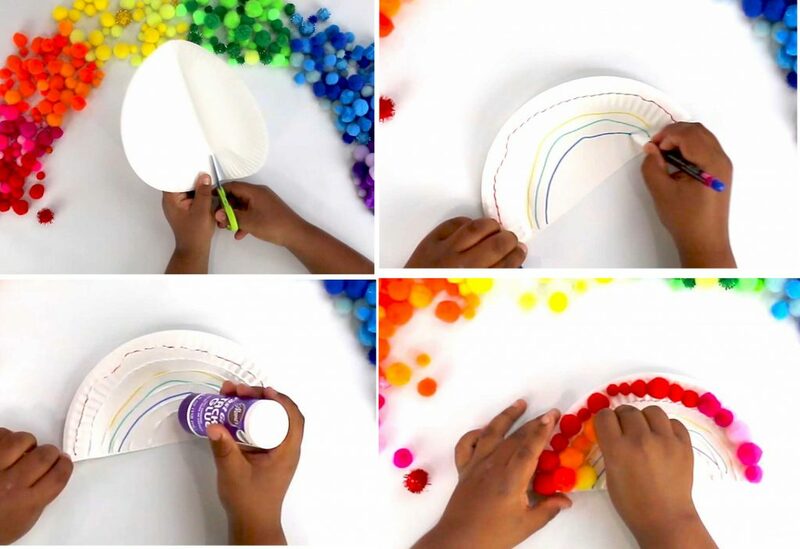 One paper plate makes two rainbows. Draw lines for the rainbow with the Tulip Fabric Markers by tracing the edge of the plate. Apply a line of Aleene's Fast Grab Tacky Glue to each marker line. Press pom poms into each line in rainbow order. Allow to dry. Gather yarn and blue felt to make raindrops. Cut yarn into random short lengths. Cut felt into raindrop shapes. Add a bead of Aleene's Fast Grab Tacky Glue to the back of the rainbow, along the straight edge. Lay the raindrops underneath the rainbow in randomly. Add a bead of Aleene's Fast Grab Tacky Glue to the top of each felt raindrop. Press the yarn into the glue on the back of the rainbow and into the raindrops below. Add a loop of yarn to the top of the rainbow for hanging.